For someone like me who just left the corporate world and chose to work at home or simply stay at home with kids, I personally know of the big difference working in a business organization compared to being self-employed. One of the most important benefits that I now do not have is FREE medical benefits for myself and my dependents. My husband who's still employed could get us all covered, but sadly, not for free. He has to pay an enormous monthly fee amounting roughly to Php 8,000/month. This amount will eat up part of our monthly allowance for food and groceries. Ang mahal! So since March, I have been searching online for more budget-friendly health cards which have the benefits I look for. Two of the affordable and packed with benefits health cards I found that's perfect for myself and those with kids are MediCard RxER HealthCard and MediCard Health Check Card. COST: RxER Health Card for Php 1,998 (good for one year). my annual physical examination as required in my former 10-year employment. With MediCard's RxER, you could enjoy this benefit. 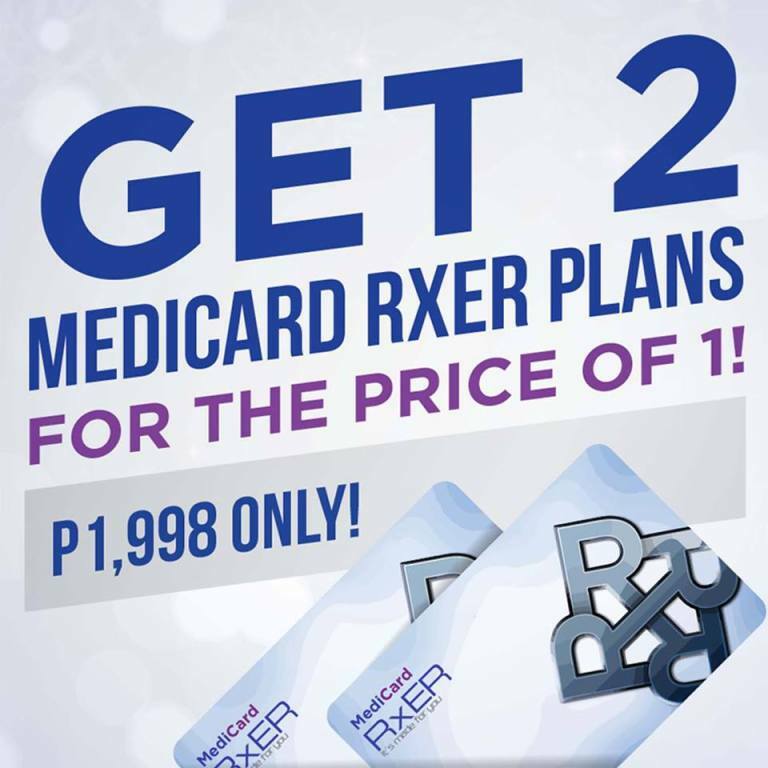 On May 15, 2018, MediCard will offer Buy 1 Take 1 for their RxER card. So for practical moms like you and me, we better not let this opportunity pass. For moms like me who have more than one child, actually, even if you have just one, this is the BEST health card you could purchase for yourself and your children. Imagine, UNLIMITED CHECK-UP for one year for only Php500.00. This is definitely is a practical purchase and one that you will not regret paying for. After all, it's for your child/children's welfare. All MediCard Health Check Card benefits may be availed from Mondays thru Fridays and by appointment at the MediCard free-standing clinic where the card was purchased.